Public Support Needed For Our Proposed Move! A Bigger, Better Cook St. Liquor in 2018! As you may have heard, it’s our intention to move Cook St. Liquor from our current location to the former RBC bank building at 304 Cook Street in the Cook Street Village. This bigger, better street-front location will allow us to offer a greatly expanded product selection in a higher profile location, so that we may better serve the local community. Our last hurdle in making this happen is getting approval for rezoning the former RBC building for liquor retail sales. There is a public hearing for our rezoning proposal on Thursday, Oct. 26, at 7pm at City Hall in the Council Chambers. Public support for our proposed move is key to helping this be a seamless process. So we are asking all of our friends and neighbours to kindly submit a letter to the mayor and city council in support of our move. There are several easy ways you can do this, which we will spell out here. 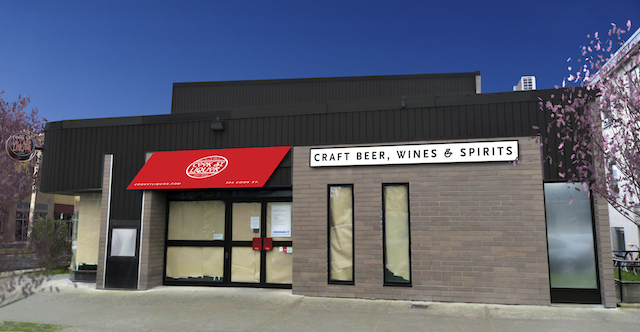 1) Write your own letter and submit it to mayorandcouncil@victoria.ca, making sure to mention your support for Cook Street Liquor’s proposed move to 304 Cook Street. 2) Use the Mayor and Council’s online form, again making sure to reference your support for Cook Street Liquor’s proposed move to 304 Cook Street. 3) Download our pre-written letter and either submit it via email to the Mayor and Council’s email in #1 above, or print it, sign it and bring it in to the store for us to submit. 4) Come in the store and sign a pre-printed letter of support, which we will submit for you. We also encourage any who want to voice their support in person at the meeting on October 26 to please do so. It is, of course, open to the public. Thanks for your support!